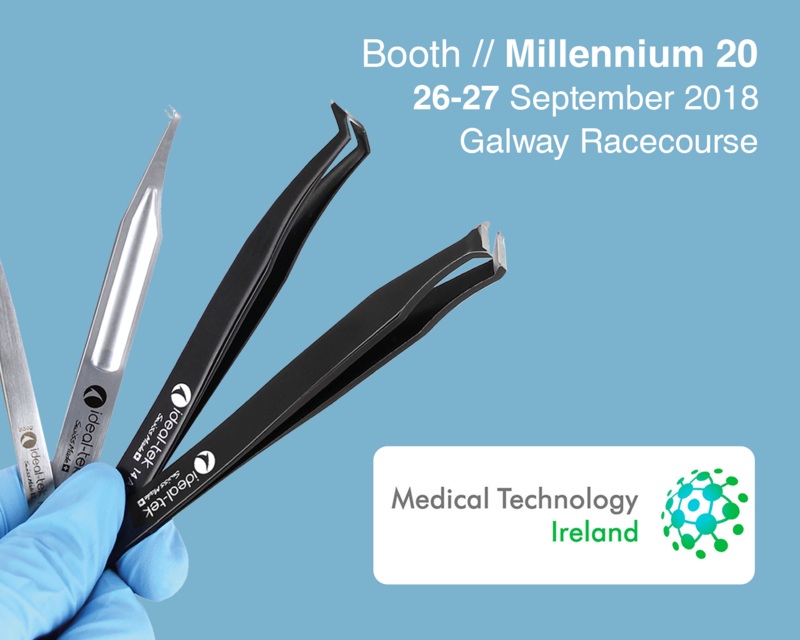 Come to booth Millenium 20 on 26 and 27 September 2018 at Medical Technology Ireland 2018 in Galway to experience the Ideal-tek complete range of Ergonomic Hard Metal Cutters, Cutting Tweezers and more on our stand. For more than 50 years, Ideal-tek has designed and manufacturered precision hand tools in Switzerland to meet the most challenging demands of the global market place. Today we offer the most complete range of application specific solutions for the Medical Device market. Ideal-tek team will be on hand throughout the exhibition to review your precision tools applications. Please feel free to reach out to us in advance to schedule a meeting.